If you’re up for an epic, awe-inspiring Maui snorkeling adventure, look no further than Redline Rafting Co. for a thrilling culturally- and environmentally-conscious experience. 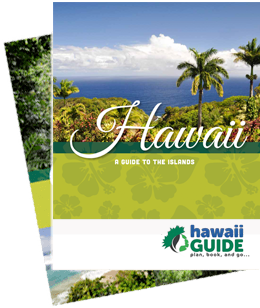 Their experienced guides will ‘talk story’ and weave in old Hawaiian legends, share their love of Hawaiian history and geology with you, and enthrall you with a seemingly endless supply of marine life and reef facts; all while providing a safe and rewarding experience. RedLine Rafting - Molokini Snorkeling Tours from Redline Rafting on Vimeo. One of the many things we love about Redline Rafting Co. is that their 35-ft. customized raft has a maximum capacity of 24. This means that you’ll travel at faster speeds, so you’ll reach your destination sooner and get extra time to get up-close and personal with all of Maui’s natural wonders. Best of all, unlike many other snorkeling tours that take you to only the most popular spots, Redline Rafting Co. will make sure you get to the hot spots as well as the more remote locations. This means you’ll experience fewer crowds and enjoy a more personalized experience. This bucket-list tour will have you exploring the world-famous Molokini Crater and Maui’s Forbidden Coast on an ocean adventure unlike any other. Molokini truly is a special place, as it is one of only three volcanic calderas in the world. It is a lovely uninhabited islet and marine preserve that is home to many species of seabirds and over 250 fascinating marine species, many of which are endemic to Hawaii. With so many colorful fish and coral surrounding you, you may not see the same species twice! Be one of the very first boats in the AM to snorkel Molokini’s crystal-clear waters. Snorkel Molokini’s back wall, a place most visitors will never even see. Head to La Perouse Bay to spot the playful spinner dolphins that make their home there. Enjoy an up-close-and-personal encounter with curious Hawaiian green sea turtles. You’ll start the day off right with famous Maui cinnamon rolls and fresh tropical fruits. Relax and savor delicious deli sandwiches and pasta salad for lunch as you enjoy the Maui views. Your trip also includes more fun than you can imagine! Experience the ultimate Maui snorkeling adventure on this completely private and exclusive rafting adventure! Perhaps you’re part of a wedding party or family vacation. Maybe you’re celebrating a milestone birthday. Or perhaps your company wants to provide an amazing team-building activity. Whatever the reason, a private boat rental is the best way for your group to experience all of Maui’s marine wonders and do so in private… just you and your group of friends, family, or coworkers. You plan the perfect day and Redline Rafting Co. will make it happen! Snorkel Molokini’s back wall for a more private experience with more marine life. Swim with Hawaiian green sea turtles and spot spinner dolphins. Sensational humpback whale watching (winter only). Onboard restroom and food storage. Knowledgeable guides put your safety first. The best way to enjoy Maui’s marine life and scenery in a private setting. If you’re fortunate enough to visit Maui in the winter, you simply cannot miss the opportunity to spot one of the most majestic creatures on Earth: the humpback whale. Get ready for an epic experience as you watch these magnificent animals put on a show like no other. Every year, North Pacific humpback whales migrate from Alaska to Hawaii to mate, calve, and nurse their young, and many of them choose the warm waters off Maui as their perfect winter vacation spot. In fact, Maui is home to some of the best whale watching in the world. Redline Rafting Co. makes your whale-watching tour special, as a Certified Marine Naturalist will accompany you to help you learn and understand more about these amazing creatures. Don’t miss the opportunity to admire them! Small groups mean an intimate setting. Onboard hydrophone to listen to the whales’ captivating songs. A Fun, educational, memorable, and life-changing experience! Why Choose Redline Rafting Co.? A superior Maui ocean adventure. Mask, snorkel, fins, and wetsuits provided; or feel free to bring your own gear. Expert guides put your safety first. Flotation belts and life vests provided. Bathroom onboard for your comfort. Small group sizes mean a more personalized experience. As one happy customer stated, “If there were a Nobel Prize for adventure, these guys would get it!” We couldn’t agree more. This content is sponsored by Redline Rafting. Guide of US is a travel destination media and marketing company that receives compensation from companies or organizations whose products or services are promoted on this site. We review and evaluate the services of each company to ensure they meet our highest quality standards for travelers. We are independently owned and any opinions expressed herein are our own.